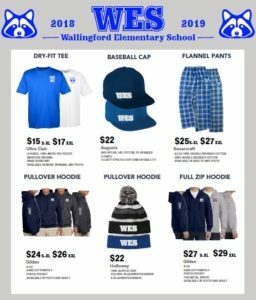 For 2018-19, we are pleased to offer more selections for you to show off your WES spirit! Below is just a sample of the WES spirit styles you could be sporting! This year, all purchases can be made online through logowarehouse.com by accessing the WES Online Store link below. Please note that the WES online store will only be available from August 21st through September 21st, so don’t delay! Please contact Michelle Long (mrs.long@comcast.net) or Jenny Dolan (jennydolan@gmail.com) for more information.